Located in northwest Florida on the Emerald Coast, Destin is a popular vacation destination, renowned for its sandy white beaches and beautiful green waters. It's a great place to relax and unwind by the water or play a round of golf at one of the award-winning courses in the area. 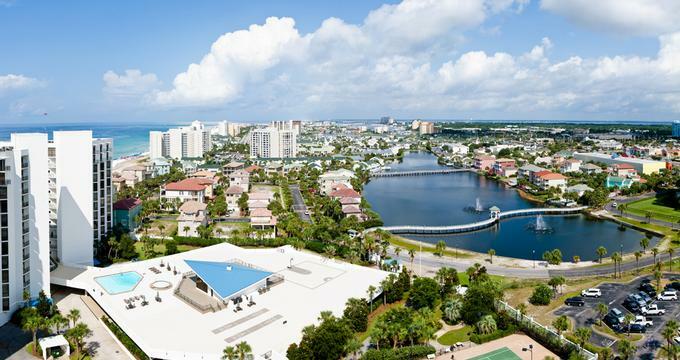 Easily accessed thanks to the Northwest Florida Regional Airport, Destin, FL, is filled with excellent resorts and vacation rentals as well as a wide range of premier shopping and dining options. 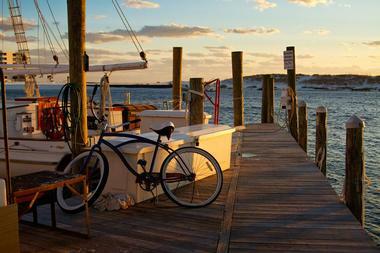 Here are the best things to do in Destin, Florida. Henderson Beach State Park gives visitors access to over 6,000 feet of scenic shoreline bordering the beautiful emerald waters of the Gulf of Mexico. In addition to its white sandy beaches, the park features a three-quarter mile nature trail, outdoor showers, and a playground. Boardwalks provide beach access for those who wish to swim, sunbathe, and fish, while several pavilions make a great space for grilling, lounging, and picnicking. Beach access isn't limited to the daytime; there are a number of campsites available that include water and electric hookups as well as access to temperature-controlled bathhouse facilities. Stretching nearly a quarter of a mile along the beautiful Destin Harbor, The City of Destin's Harbor Boardwalk provides extensive access to the waterfront and helps preserve the harbor’s unique character. The boardwalk features beautiful landscaping, lighting, and seating, as well as a number of local restaurants and rental businesses. Every October, the harbor becomes a bustling hub of activity when it hosts both the annual Destin Seafood Festival and the annual Destin Fishing Rodeo. Four public parking lots are situated within a 5-10 minute stroll of the boardwalk, and all are free of charge. Located on the Gulf of Mexico, Crystal Beach is known for its adorable, rainbow-colored beach cottages, and a large number of vacation rentals are available for visitors to enjoy. Located just off of Highway 98, the Shores at Crystal Beach Park is a family-friendly space that features a pavilion, restrooms, showers, and picnic tables. Limited parking is available, and the park is open to the public every day from dawn to dusk, free of charge. 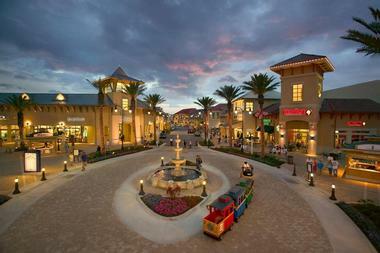 This portion of Destin is also the home of Destin Commons, an outdoor lifestyle center with restaurants, boutiques, a movie theater, and a Bass Pro Shop. Located on the shores of Choctawhatchee Bay, the Village of Baytowne Wharf is the gathering place for everyone visiting, living, or working along the Emerald Coast. It's always open to the public and is home to a wide range of boutiques, eateries, and nightlife. The wharf also offers a busy schedule of festivals and special events for the entire family, including movies under the stars, flyboard shows, and free concerts. The Village is a pet-friendly venue, and guests are welcome to enjoy catch and release fishing in the lagoon. Public and valet parking are both available. Those in search of souvenirs can stop at the Nautical Treasures gift store to pick up giftware, including T-shirts, sunglasses, beach apparel, and jewelry. 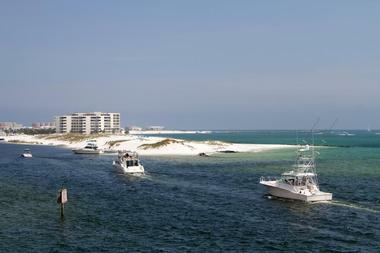 The marina also hosts the Destin Cobia Tournament every spring, and is home to SWOOP Deep Sea Fishing Charters, a company that offers deep sea fishing tours to people of all ages and abilities. The Destin History & Fishing Museum contains a number of exhibits depicting the history of the town and the fishing industry in the area. Visitors can admire vintage photographs of early Destin settlers and get a sense of what it’s like to swim in the Gulf of Mexico thanks to a 100-foot long display of fish caught in the area. Other highlights include a large collection of antique fishing rods and reels, one of which belonged to Ernest Hemingway, and a seine fishing boat built in 1925 that is the oldest still in existence. Guests can explore the museum either on their own or with a guide. Destin Commons is an outdoor shopping center that offers a wide range of both local and national retail stores, including Bass Pro Shops, Belk, and Forever 21. Those who don't feel like shopping can catch a movie at the AMC theater or grab a bite to eat at one of the many restaurants and cafes on-site. Children can spend time at the playground, cool off in the water park, or take a ride on the miniature train that operates daily. Wi-Fi is provided throughout the property, and visitors can park either in the metered spaces on the road or in the large above ground parking garage. Run by former architect Rick Mungeam and his wife Capri, Beach Sand Sculptures creates one-of-a-kind sculptures for any occasion imaginable. They provide sand sculptures to enhance and promote various events and activities, including festivals, holiday displays, and grand openings. 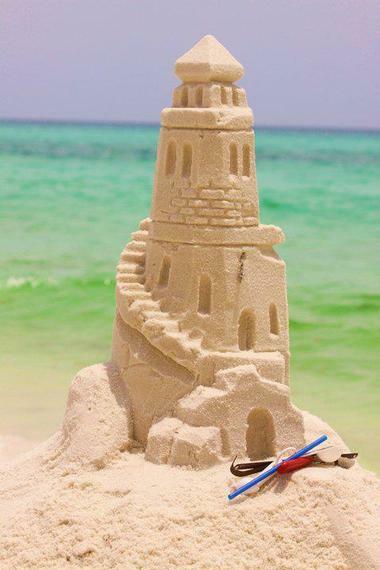 They will also travel to any beach in the Destin area to provide corporate team building exercises, romantic marriage proposal sand sculptures, or sandcastle lessons in which participants learn the proper technique to build 3 1/2 foot tall sand sculptures. The lessons usually last two hours, and they are suitable for all ages and can be given to groups of any size. 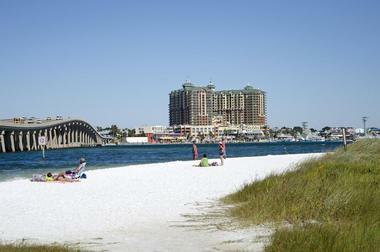 James Lee Park is a county-owned park located on the beach near the border of Okaloosa and Walton counties. Visitors have access to a beautiful stretch of sand where they can swim and fish in the Gulf of Mexico, and the park features a number of pavilions, picnic tables, and dune walkovers. If desired, beach chairs and umbrellas can be rented at the park for a small fee. A beachside playground is available for families with children, and large, well-maintained restrooms with changing facilities can be found on-site. Public parking is offered, and use of the beach is free of charge. 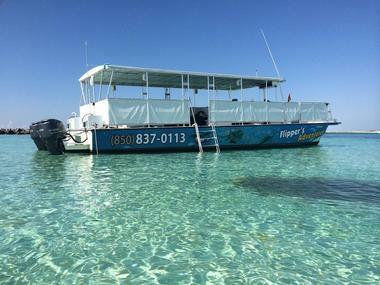 Flipper’s Adventures offers many exciting activities including snorkeling, dolphin sightseeing, and firework or sunset cruises. All tours are family-friendly, and guests of all skill levels are welcome, including non-swimmers, beginners, and experienced snorkelers. The company's US Coast Guard certified boats hold up to 49 people at a time, and all crew members are trained in first aid and CPR in addition to all aspects of boat handling. Hours vary depending on the season, advance reservations are required, and the company has a strict 24-hour cancellation policy. Trips typically last between 1.5 and 3 hours, and some include free beverages. Based out of HarborWalk Village, Buccaneer Pirate Cruise is an interactive family-friendly adventure that takes place aboard a 100-foot U.S. Coast Guard approved motor vessel. Younger passengers are entertained with interactive sword fights, water gun battles, stories, songs, dances, and treasure hunts, and adults can choose to either join in the fun or relax and take in the scenery. Snacks and beverages are available for purchase on-board, and the company recommends arriving one hour prior to departure time to allow for parking and picking up tickets. Cruises last two hours, and boarding begins 30 minutes prior to departure. Joe Campbell established the Other End Restaurant and Beer Garden in 2014, and it is a favorite among locals thanks to the nightly specials and breathtaking views of the water. Described as a cross between an Airstream food-truck with 16 beer taps and a deck on the docks, the restaurant serves craft beers, wine, and pub style cuisine. The outdoor eating areas include a wooden deck with bar seating and round deck tables, and there is another turf area featuring long picnic tables surrounded by lush citrus trees. Live music played by local artists can be enjoyed almost every evening. Sail Away caters to those who wish to have private party excursions by providing a thirty-foot long catamaran that can hold up to six people. Tours are completely personalized and can last between two and eight hours. 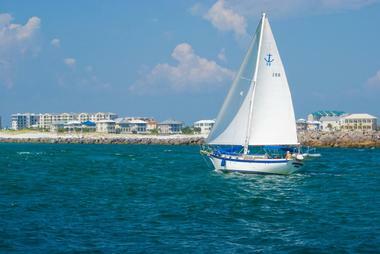 Captain Bryan Klein is happy to take guests sailing as far as five miles out into the gulf. 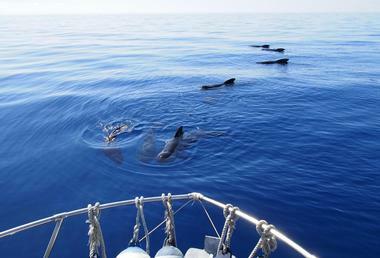 Popular activities include dolphin watching, snorkeling, and light tackle trolling, but many people choose to do “free-sailing” and cover as much water as possible while exploring the beautiful surroundings. The boat is well equipped, featuring a stereo system, restroom facilities, and a freshwater shower. Primrose Restaurant is a signature eatery at the elegant Destin’s Henderson Resort located just across the road from the sandy beaches of the Gulf of Mexico. The spacious, bright, and airy restaurant offers breathtaking views of the Emerald Coast and an inspired menu focused on the freshest seafood, high-quality steaks, and healthy, creative dishes. 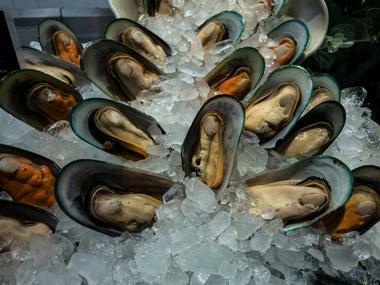 The menu changes with the season and the availability of fresh ingredients. The display kitchen offers guests a glimpse into the magic happening behind the scenes. Check out their superb sushi selection and leave some space for the fresh, delicious desserts. The restaurant has an elegant private dining area for special events. 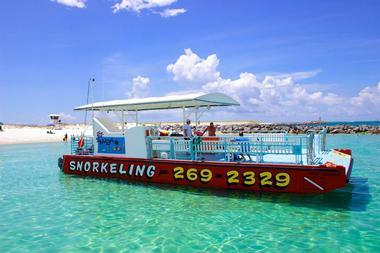 Destin Snorkel offers a wide range of tours on their Coast Guard approved passenger boats, and they have options that are suitable for all ages and abilities. Personalized trips are available, or guests can choose one of the pre-planned snorkeling, dolphin-watching, or sunset tours on offer. For those who want a little more excitement, the company also offers SNUBA adventures. This unique technology allows participants to dive up to 20 feet, stay underwater for up to half an hour, and explore areas not accessible by snorkeling. All the required equipment is supplied, and free soda and bottled water are provided on all tours. Reservations are recommended. Intracoastal Experience specializes in inshore and near-shore fishing charters for clients of all skill levels. The warm, abundant waters off the shore of Destin are home to a wide variety of fish species, and the area is one of the most bountiful in all of Florida. Charters typically last 4-6 hours and are guided by highly accomplished tournament angler Captain LW Burroughs. Bait, tackle, ice, Florida Fishing licenses, and fish cleaning/bagging are provided, but it's suggested that customers bring their own drinks, snacks, and a small ice chest for fish filets. Trips must be booked in advance. 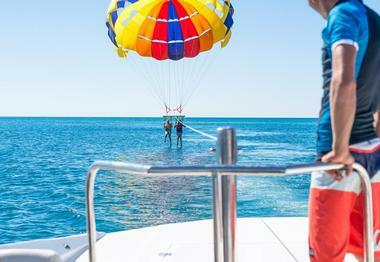 Just Chute Me Parasail provides customers with a safe, accessible way to experience the thrill of floating on air. Passengers can fly two or three at a time, and flights take off from and land on the boat's deck. 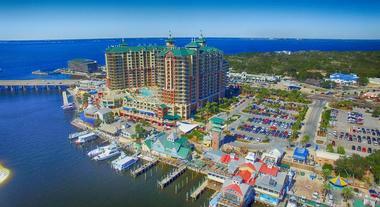 The time in the air lasts 10-12 minutes, and provides you with spectacular views of the Destin beaches and Emerald Coast. Most of the flight will be spent at an altitude of 400 feet, and passengers are offered the choice to either stay dry or get their feet dipped in the water. Reservations are required and can be made online or over the phone. The Track family recreation center offers a wide range of activities for people of all ages, including two 18-hole miniature golf courses, bumper cars, bumper boats, and kiddie rides. 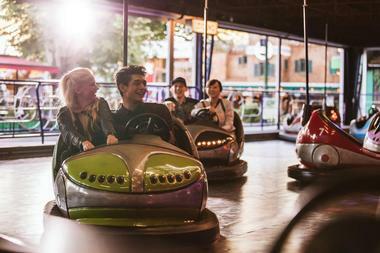 The center also features five separate go-kart tracks of varying difficulty and an arcade filled with state-of-the-art video games. Thrill seekers can take a spin on the giant Hurricane360 ride or try out the SkyFlyer, which simulates the experience of skydiving. Hours and available attractions vary depending on the season, weather, and business levels, so it's wise to call ahead. Discounts are offered for seniors, locals, and bulk purchases. Mobile Sports specializes in personalized boat tours for groups of six people or fewer. Popular options include banana boat rides, dolphin watching, and sunset tours, but the company will accommodate any special requests to the best of their ability. A professional photographer is present on board for each trip, and personalized photo packages are made available for purchase. 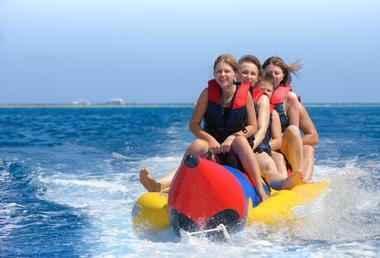 Participants of all ages are welcome on the tours, but children must be at least 5 years of age to ride on the banana boat. Tours typically last one hour, and guests are asked to arrive 15-20 minutes early to ensure a timely departure. The Market Shops is an upscale shopping, dining, and entertainment center in Miramar Beach, located along the entrance of Sandestin Golf and Beach Resort. 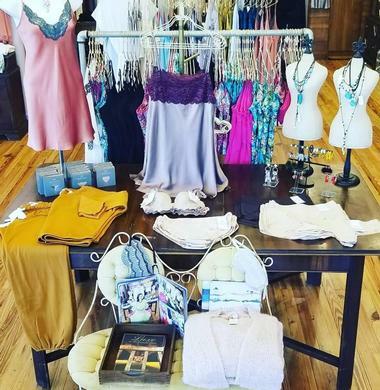 More than 15 merchants are housed within the center, including lovely boutiques such as Favori, Wren's Village Boutique, and Siren's Lingerie and Swimwear. Coastal French cuisine is served at Bijoux, while casual fare is offered at regional chain Pizza by the Sea. Families can enjoy ice cream at Ben and Jerry's or try their hand at an escape room challenge at Escapology. Live music is presented throughout the winter and spring months. Each year, the shops also host the annual Bloody Mary Festival. Golf Sandestin has four unique courses: Raven Golf Club, Baytowne Golf Club, The Links Golf Club, and the exclusive and private Burnt Pine Club. Each course has its own special challenges and rewards, and together they make up a total of 72 holes spanning from the beach to the bay. 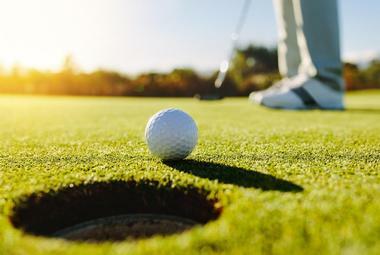 The resort has received a number of prestigious awards, and it regularly hosts events and competitions such as the Champions Tour during the NCAA National Championships. Proper golf attire is required on the courses, including the practice facilities. Collared shirts and spikeless shoes are permitted, but denim and women’s halter tops are not. Since opening in June 1993, the Mid-Bay Bridge has been the primary transportation link between the communities of Niceville and Destin. The 3.6-mile two-lane toll bridge spans Choctawhatchee Bay, and it is the quickest way to reach the beaches of Okaloosa County and South Walton. Together with the newly opened Spence Parkway, the route contains two separate toll points. For the sake of convenience, those who routinely use the system are advised to sign up for a pre-paid Sunpass account, which can be used for both toll points on the bridge as well as for many other Florida toll roads. Just a short walk from the Baytowne Marina, Jolee Island Nature Park is a great tourist destination that covers more than five acres of land. You can access the park by crossing over an attractive wooden footbridge, and the area features a pirate-themed playground with a lookout tower as well as a mile-long nature trail around the perimeter. The trail is dotted with porch swings, which are a great place for visitors to sit and admire the views across Choctawhatchee Bay and Horseshoe Bayou. Pets on leashes are welcome, but visitors are advised to watch out for snakes and bring insect repellent. Destination Segway Tours offers visitors the chance to see the sights of Destin while gliding around on a Segway. 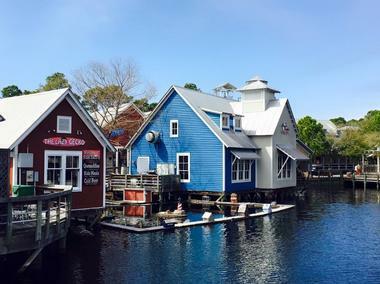 Tours vary depending on the skill level and confidence of the riders in the group, but stops typically include HarborWalk Village overlooking the Harbor, the original settlement site of Destin, Clement Taylor Park with views of Crab Island, and the Destin History and Fishing Museum. 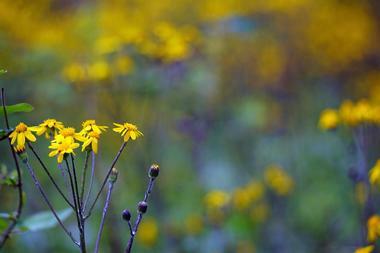 There are many great photo opportunities along the route, so it's a good idea to bring a camera. Tours are offered multiples times throughout the day, and participants must be at least 14 years of age. AJ's Water Adventures provides Destin visitors with dolphin cruises, sunset cruises, and snorkeling tours. Moonlit firework cruises are also available on occasion, and reservations are recommended for these. The company has two boats to choose from: a 53-foot speedboat called the "Sea Quest" and a 74-foot custom built schooner named the "Daniel Webster Clements." Excursions last between one and three hours depending on the option chosen, and all cruises come with complimentary beer, wine, soda, and water. The tours are all family-friendly, and children are given the opportunity to take charge and "captain" the vessel. Silver Sands Premium Outlets is home to more than 100 designer and name-brand outlet stores, including Coach, Kate Spade New York, and Michael Kors. Numerous shopping opportunities are available, including women’s apparel, accessories and house wares, and sporting goods. Located outdoors, the mall features covered sidewalks, beautiful landscaping, and a large play area to keep children entertained. A wide range of restaurants is also available, and an information booth can be found in the center of the mall. Sales are offered quite frequently, and regular shoppers can join the VIP Shopper Club for additional savings. Located in the Destin Harbor, Luther's Watersports rents out a variety of watercraft, including pontoon boats, waverunners, kayaks, and paddleboards. Family owned and operated, the company is located only five minutes away from Crab Island, and it offers clean, reliable vessels and friendly service. Vessels cannot be taken into the Gulf of Mexico, but renters can fish in the fishing village's water, go dolphin-watching in the Choctawhatchee Bay, or cruise along the beautiful shore of the Emerald Coast. Reservations can be made online or by phone, and customers are asked to arrive early to go over safety instructions and fill out paperwork.